With our vast network of lenders, we can find the loan best suited for your apartment financing needs. Since 1977, Ocean Pacific Capital has offered a nationwide approach to providing apartment financing. Whether you are looking for financing for apartment construction, refinance, or purchase, we offer numerous direct and very competitive rates for our commercial real estate loan products. We specialize in Fannie Mae and Freddie Mac apartment financing programs. On qualified commercial real estate properties, we offer loan amounts starting at $500,000 up to $800 million plus. With smaller commercial loans and apartment financing for multi-family, there are faster closings with less paperwork. Our mid-size commercial loans range from $3 million to $8 million and possess one of the most competitive rates as well as delivery times. 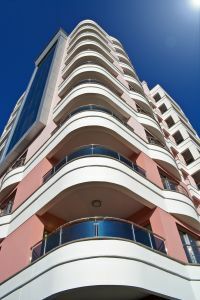 On larger apartment financing, with loan amounts in excess of $8 million and up, it can be specifically structured to meet the needs and objectives of our clients. We strive to exceed our clients' expectations. Permanent, bridge and construction, equity and mezzanine--we offer all types of financing for apartments. Let us show you why we have been the best in the business for over 31 years. With us, you can rest assured that we will obtain the best financing and lowest fees with our wide network of lenders, in addition to unparalleled efficiency and service. For more information or pricing, use our online form or call us today at 1-800-595-1474.